Despite the release of Super Mario Odyssey almost upon us and lots of indies already released this week, developers are still keen to bring their games to the Nintendo platform and today, yet another upcoming release has been announced! 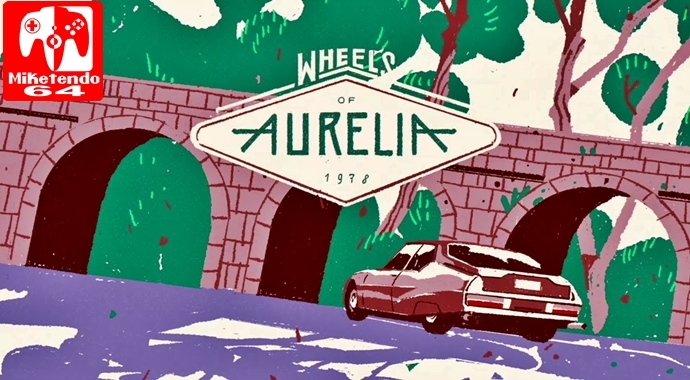 Torino, Italy, October 26th 2017 — MixedBag is thrilled to announce that Wheels of Aurelia, the unique Visual Novel / driving game by award winning studio Santa Ragione will launch on Nintendo Switch on November 2, 2017, for 9.99$ / 9.99€. Uncover Lella’s fierce personality and mysterious past while choosing each line of her dialogue in the game. A compact game experience with sixteen different endings, each with its own epilogue – All original Italian soundtrack provides emotional ambience to accompany the game’s narrative. Original art by renowned illustrators, handcrafted to bring Italy to life in new and unexpected ways. Rooted in researched and culturally accurate events during the 1970’s including kidnappings and extreme political turmoil. Independent Games Festival Honorable Mention, IndieCade Nominee, Fantastic Arcade Game Spotlight.